This lamp was the first design in LED lighting. 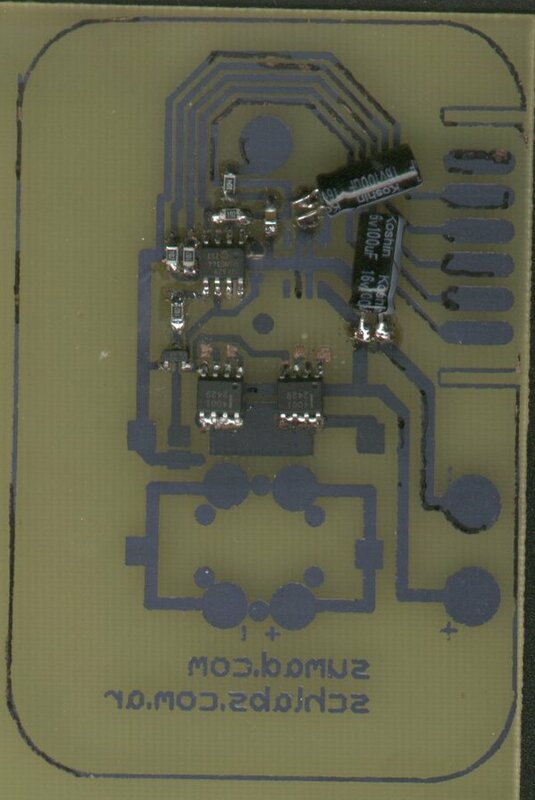 Was a lamp that sadly we have no photos, only PCB prototype board photos. One led of 3w with active current control in a rectangular board matched with aluminium board, joined to the base with a flex tube. All with SMT technology and 3 intensity levels.